Hello again! 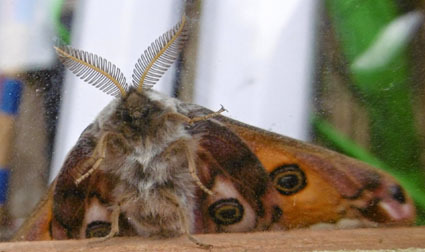 There's a while to go 'til mothing starts in ernest in April, but I'm thinking of lighting the lamp one of these nights. The weather keeps shifting; sometimes warm, than back to a wintery chill, but plenty of wings have been fluttering about in the car's headlights of an evening. Increasingly, they don't all look like Winter Moths too. But first, I have to post some of the results of a fantastic Mexican interlude for Penny and myself, courtesy of our son Tom and lovely daughter-in-law Abi (that's her, above), who laid on an amazing programme in that amazing country. Knowing my butterfly and moth enthusiasm, this included a visit on horseback high into the forested hills above Valle de Bravo, three hours north of Mexico City, to see one of the greatest sights of the butterfly world. The Monarch Migration. What can I say? It is just stupendous. I have been fascinated by the Monarch ever since I caught my rarest butterfly, the 'Charlotta' variety of the Dark Green Fritillary, as a boy at the exact spot above Kynance Cove in Cornwall where Prof E B Ford (he of the Bible 'Butterflies' in the Collins New Naturalist series, caught a Monarch in 1941. Fewer than 100 have been found in Britain. In Mexico there were millions; all of them winter arrivals from Canada and North America where the cold becomes too much for them. They roost in the warm, moist forests of these hills, mate, lay eggs and in the late Spring and early Summer, their offspring fly back. The species has adapted so well to this unique lifestyle that adults can live for an astonishing seven months (astonishing, that is, for a butterfly, whose span is usally counted in weeks, if that). Coming back down, we had a picnic and Abi spotted this beautiful butterfly, whose silvery underwing suggests some sort of Mexican fritillary. There is a very comprehensive website on Mexican butterflies, but you have to plod through them one by one. I haven't time to do that just now but will; and I will add the name here when I do.